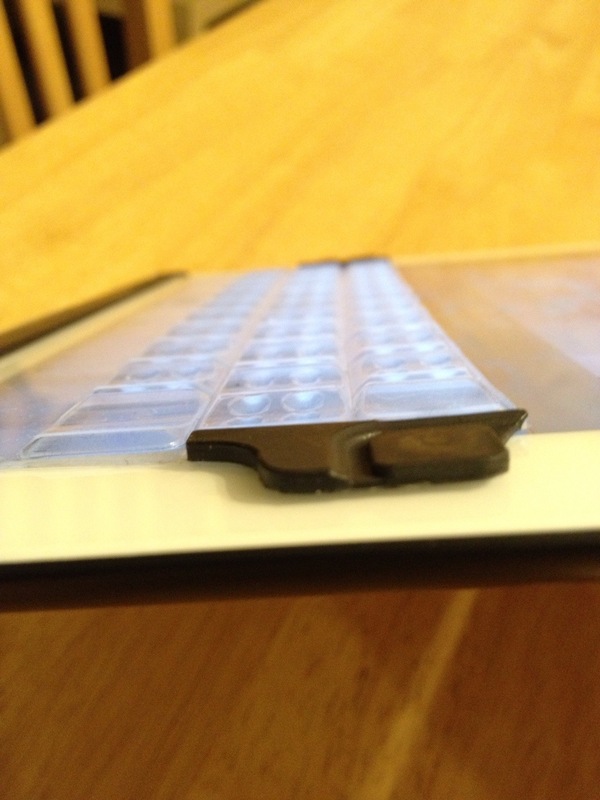 I can't has cheezburger | The TouchFire: finally, touch typing on iPad! The TouchFire: finally, touch typing on iPad! Users of the iPad generally are in love with their devices but for many there has always remained the annoyance of difficulty inputting text on the keyboard. I have managed to do pretty well with the landscape orientation keyboard but I do often find my fingers drifting off away from where they should be. Sure, I could use an external keyboard with it, but that adds a good deal of bulk and the setup takes time too. Plus for me the on screen keyboard is great, but it could just be a little better. This is where TouchFire comes in. The TouchFire is a silicone overlay that magnetically attaches itself to the iPad, leaving you with a keyboard-like surface that can be used for touch typing. Having the ability to feel keys makes an incredible difference in your ability to type on iPad. People raved about it in the videos and after seeing how thoughtful the design was, I decided I needed to support this project so I preordered. My biggest concern having not seen the TouchFire in person before was that it wouldn’t provide a satisfying tactile feel when I pressed the keys. I mean, yes, the product is meant to give tactile feedback where there is none, but I’m the first to admit I’m a little pickier about it, what with my affinity for fine clicky keyboards and my being known to complain about iPhones whose home buttons feel squishy. I was hoping it would end up feeling similar to what Apple keyboards feel like when you press on them. After months of waiting, I was initially disappointed to find that there really isn’t much feedback at all when you press on a key. 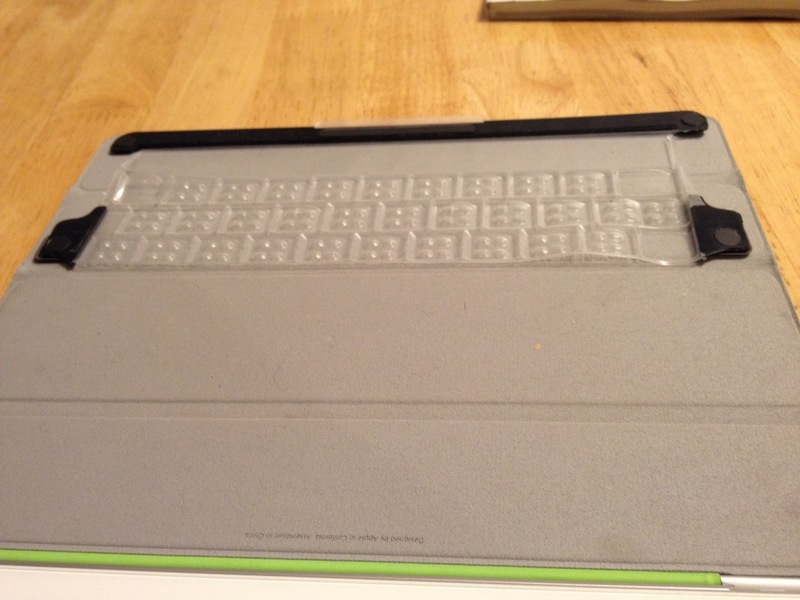 The experience is reminiscent of typing on a waterproof membrane keyboard and that was disappointing. But I’ll be damned if I am not typing far more proficiently on this than I would be with just the screen alone. The ridges separating the keys give my fingers the gentle reminders they need of where the home row is and it is just enough to keep my fingers from deviating onto other keys. When your fingers start to feel a little bit like you are on a standard keyboard it becomes really easy to forget that isn’t the case. That is no problem if you are just typing sentences and such, but as soon as you need to start doing some other things you have to remind yourself that you are still typing on an iOS keyboard and you still have to do the same things to type stuff like punctuation. So far I am finding the hardest keys to hit right are the left shift key, the backspace key and the swipe up gesture on the comma key to get an apostrophe. I’m already improving a bit. Practice makes perfect, I suppose. The TouchFire was also made with a variety of use cases in mind. It is easy to roll away from the screen if you need to use the whole screen at once. Need to type an accent? 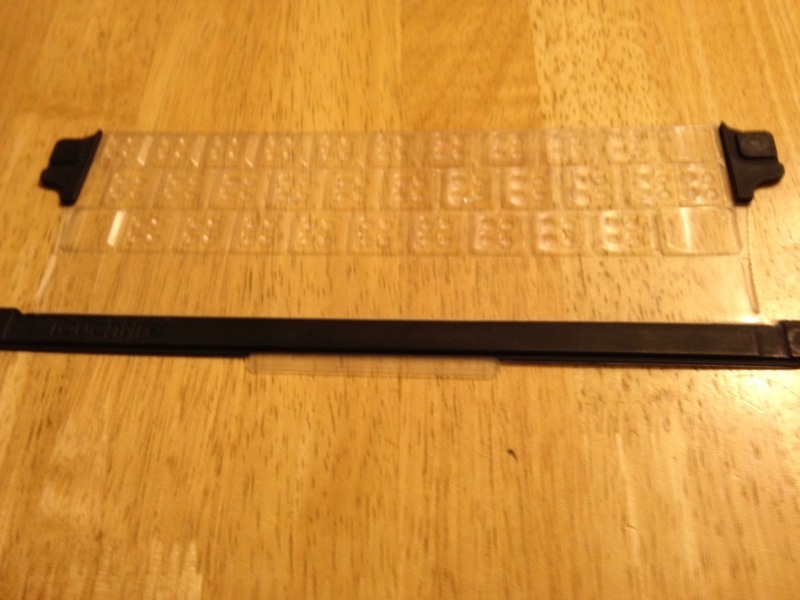 The silicone is designed to be stretched so that you can type those (I am struggling a bit with that as my TouchFire is very clean and thus still sticky; I am certain that after breaking it in a bit that will improve). And it was designed to be used in conjunction with the Smart Cover. It magnetically attaches to it. 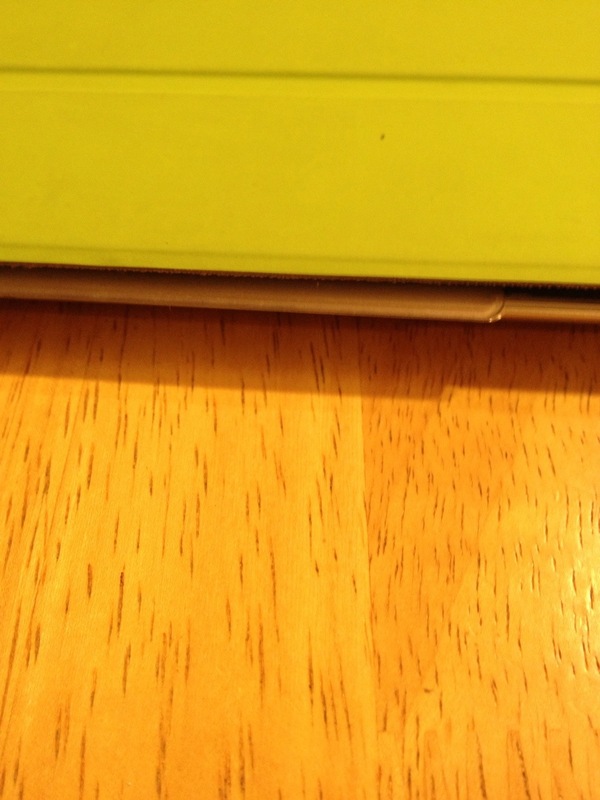 I was concerned it would interfere with the Smart Cover’s functionality but I haven’t seen much interference, save for when you have the TouchFire on the Smart Cover and you roll the Smart Cover up as a stand. It still works but it’s a bit of a stretch. The TouchFire is one of the more well done uses of magnets I have seen, especially in terms of integrating with an Apple device’s own integrated magnets. If it is any indication of how much I recommend the TouchFire, I wrote this entire review using one. Now, I wouldn’t say it helps enable the iPad to be a creation device, because to me creation involves more than just things that are typed on a keyboard. However, there are a lot of writing related tasks that are more long form that I would previously have loved to do on an iPad and can now consider doing more seriously now that I have a device that helps me get some serious typing done. Now i’m not going to be doing software development on it or anything, but expect more of my icanthascheezburger posts to be written exclusively on an iPad. Want some pictures? Of course you do.